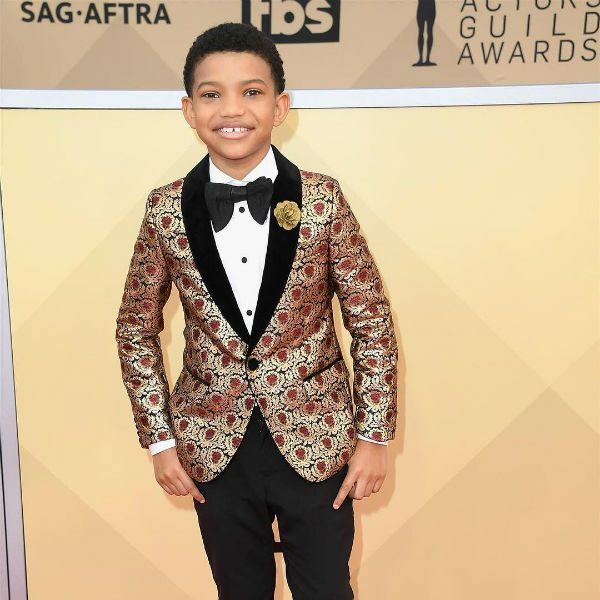 Actor Lonnie Chavis was spotted wearing this Dolce & Gabbana Junior Boys Gold Jacquard Jacket at the 24th Annual Screen Actors Guild Awards on January 21, 2018 in Los Angeles, California. 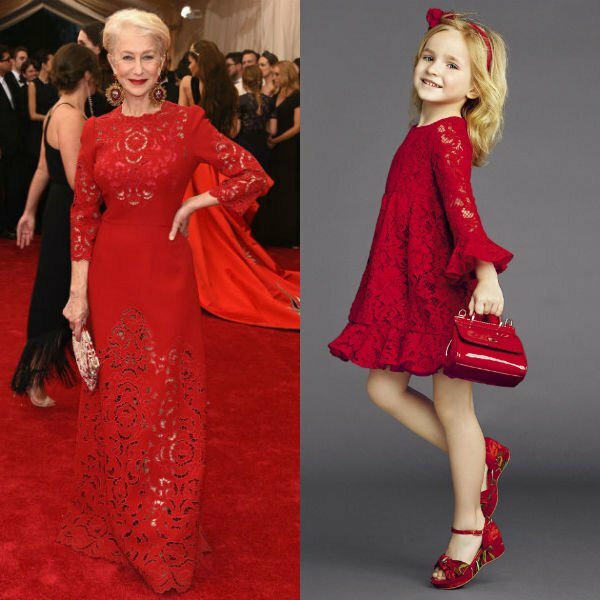 Perfect for any special occasion, this truly opulent and tshow-stopping mini-me jacket by Dolce & Gabbana will wow people, especially if Daddy wears his same jacket too. Created in sumptuous gold jacquard on a black background, it has embroidered, burgundy red flowers and is trimmed in black velvet. Complete the look with a white button-down dress shirt, black suit pants, and black leather shoes. Source: Twitter.